The French term literally means to “make sleep”, but in the Cajun culture, a fais do-do is a big party, where dancing and festivities last long into the night. Le Fais do-do offers a wide range of services. We can coordinate and execute your entire event from start to finish, working with your unique occasion as well as your specific budget. We are also available for rent where as you orchestrate your event and arrange for all your service providers. 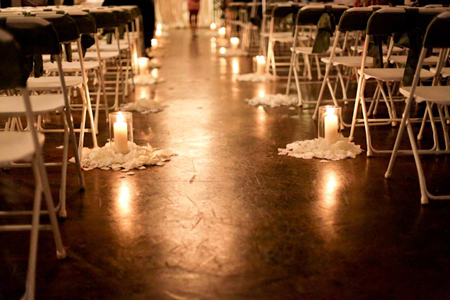 Either way our unique flexibility will allow you to host an event that will meet your expectations and budget. Le Fais do-do is a private family owned business and is available to all ethnic, cultural, religious, and political organizations as well as individuals for hosting an event. Feel free to contact a Le Fais do-do representative if you have any questions about the event you want to host. Atlanta Bridal On Location - Le Fais Do Do from Artworks Video + Cinema on Vimeo. I had a wonderful wedding at this venue July 5th and I can't say it enough that this place will not disappoint. My wedding was more than I could have imagined. Not only was the venue perfect but working with the owner Marie was just as grand. She is so helpful and put you at ease during the entire process. I highly recommend this venue because it provides a seperate area for the wedding service, the cocktail hour and then the reception plus there is plenty of parking. Book this venue and you will definitely be pleased. Ps make sure you book the photo booth room! I went here for a wedding and the place is amazing! Plenty of space and the owner is very nice and accommodating!! Loved Le Fais!! You can bring your own alcohol (have to use licensed bartenders at about $100 for the night, but overall I saved thousands of dollars over using a venue where I had to buy a liquor package. This was a HUGE plus for me. Marie has a huge selection of decor and everything is reasonably priced. No need to hire a separate decorator! You dont have to use hers, but I did and it all turned out beautifully! The outside of the building is warehouse like, but don't let this turn you away. The inside is GORGEOUS! We got so many compliments on our venue!There is a separate space for ceremony and reception so you don't have to worry about "flip-time". I did a LOT of comparison shopping for venues around the area. Marie was great on a stict budget, and helped me figure out how to make things work. *You can bring outside catering too! No fees. Just has to be an approved caterer with insurance(any catering company is)- Tons of parking. I simply can’t say enough good things about Le Fais do-do. Laura connected immediately with the venue. She loved the character ( antique mirrors, wrought iron gate, beautiful chandeliers, the draperies). Marie is passionate about the décor options and is always adding to her collection. And that’s part of what makes it so special. There is a whole warehouse of décor options to make it completely unique. You can bring your own, but Laura loved being able to walk through the warehouse and mix and match center pieces, linens, draperies, etc. And frankly, I loved having less stuff to worry about. You can make it contemporary, classic, unique…whatever your style. We got creative and made sheer panels to hang with synchronized lighting. We love the result! (Marie did too, so as thanks we added it all to her collection. )Your venue is the foundation for everything else and I can’t recommend Marie and Le Fais do-do any stronger. Congratulations everyone! I simply can’t say enough good things about our experience with Le Fais do-do. I connected immediately with the venue, and loved the character(antique mirrors, wrought iron gate, beautiful chandeliers, draperies, etc.). Marie is passionate about the décor options and is always adding to her collection. There is a whole warehouse of décor options to make it completely unique. You can bring your own, but I loved being able to walk through the warehouse and mix and match center pieces, linens, draperies, etc. You can make it contemporary, classic, unique…whatever your style. We got creative and made sheer panels to hang with synchronized lighting. We loved the result! (Marie did too, so as a thanks we added it all to her collection.) Your venue is the foundation for everything else and I can’t recommend Marie and Le Fais do-do any stronger. Congratulations everyone! I chose Le Fais do do because the owner, Marie was very down to earth and never made me feel like I had to do things a certain way. She was extremely easy to work with. I met her about 1.5 yrs prior to my wedding (8/10/13) and expressed to her that I wanted a very nice and intimate wedding but my budget was limited. She handled the catered food, cake, decor, DJ, flowers, photo booth. Outside vendors are also welcome. I used my own photographer and videographer. She provided me with a very reasonable budget, point blank I refused to go into debt over a wedding. I only saw Marie in person 3 times before my wedding due to my job and she managed to execute the wedding very professionally and never missed a beat. She handled everything flawlessly and never made me compromise what I wanted. I would HIGHLY recommend her services and venue. It's spacious, huge, and can be decorated anyway you wish. Jessica and I were married at Le Fais do-do on August 3rd 2013. I was pretty neutral on wedding locations as long as my bride to be was happy with the location. Marie worked with our tight budget every step of the way and ensured we had a beautiful wedding and reception. As with most weddings there were unplanned circumstances that she handled with complete professionalism. I was truly amazed at how great the wedding and reception areas came together. Marie also ensured that the day of the wedding everything went smoothly and we are still getting comments about how amazed people were with Le Fais do-do as a wedding venue. I normally don’t write reviews but felt it was important to get the word out on Le Fais do-do. I would HIGHLY recommend Marie and her wonderful establishment to anyone asking with no reservations. James and I were married at La Fais Do-Do on August 3, 2013; our reception immediately followed the ceremony. I met Marie in August of 2012 and fell in love with her from the beginning. I came to her with a low budget and she made me feel like it was doable. She never asked me to compromise my taste or hit me with a large bill at the end. She was realistic about what I could and could not have. La Fais Do-Do is perfect for those budget conscious weddings because they allow you to bring in your own caterer, cake, alcohol, you name it. Marie will do as much or as little as you want. I have expensive taste with a pauper's pocket and Marie managed to make my vision a reality. My wedding was the BEST day of my life. Even with a few hiccups, she managed to give us the most beautiful, elegant, and FUN day. I would recommend Marie, her staff, and her space to anyone! My wife and I had an amazing wedding at Le Fais do-do, not only did the the owner Marie take great care of us, she worked well under pressure. There were a few last minute changes that we had to make plus Marie herself had a personal family emergency the day before our wedding. Even with all of those cards in her deck, she still maintained her joyful personality and made sure we had a memorable day. The venue was beautiful and were able to bring in our own caterer,Marie doesn't book any other weddings on your day so your day is your day. It was more of a giant party than a wedding and Marie made it special from beginning to end. OMG where do I start?! Le Fais do-do is hands down THE BEST wedding venue in the city! I should know because my now husband and I looked at 28 VENUES before choosing LFDD (they were 26 of 28)! 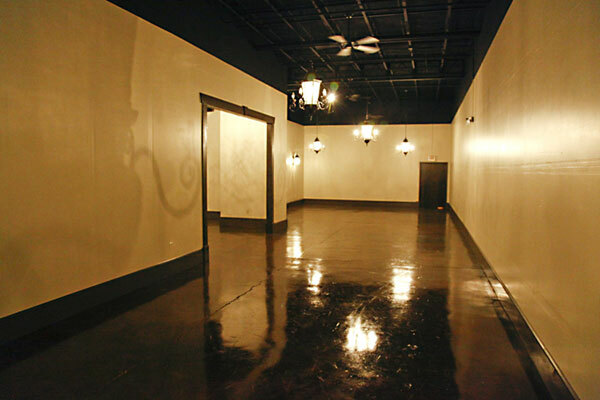 The venue is a blank canvas and you can literally do whatever your heart desires. And being able to bring in your own vendors makes working on a budget way less stressful. Marie is a true professional that treats every event as unique. Even after our officiant didn't show for the ceremony, Marie handled it like a champ, found a solution, and got the night back on track. It has been three months since our wedding and people are STILL talking about how awesome the venue was, how on point and organized Marie, and how that was the best wedding they had ever been to. We almost had to cancel a month out but Marie worked with us to save our day and for that I am forever grateful. Can't wait to work with Marie and Le Fais do-do again! I had my wedding reception here in June and we are still receiving compliments from our family and friends! Le Fais do-do was a beautiful venue and everything we were looking for, including space and flexibility to make our reception our own. Marie was an extreme pleasure to work with and truly had our best interests in mind. The set up was exactly how we had imagined and, through her coordination, the reception went perfectly. We hired her daughters to help entertain the kids and both the parents and kids alike made comments about how wonderful they were with them. We were concerned over how to make the event enjoyable for both the parents and the kids and they definitely made a lasting impression, especially with the little ones, who were following them around all evening. We couldn't have been happier with our experience and I highly recommend them and their wonderful service! Marie is a jewel! In the midst of frantic planning and some personal adversity, she has a way of calming things so that the bride and groom are not caught up in stress and last minute confusion. 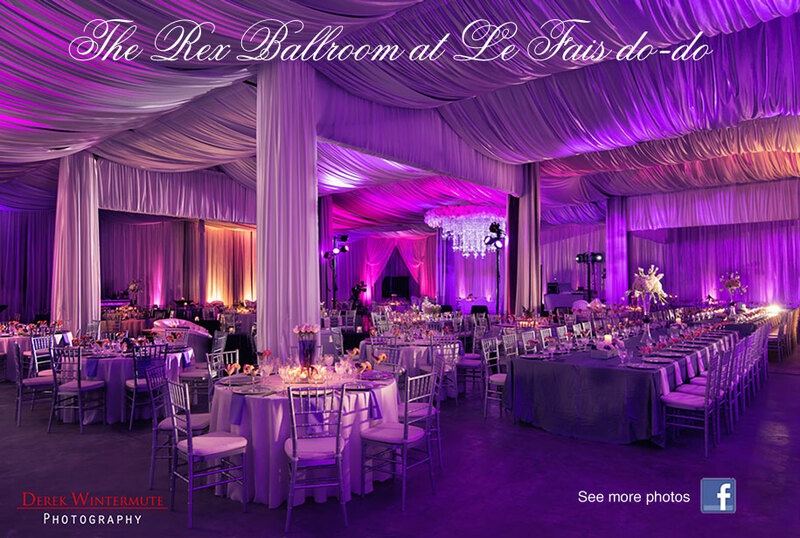 Le Fais do-do allows a bride and groom or the planner the ability to visualize a grand event from the beginning. The facility is spacious and the coordination of events is smoothly executed. I am truly appreciative of the services that were rendered to my wife and I during our September wedding. We were more than satisfied and that is why we HIGHLY recommend Marie and her staff at Le Fais do-do. The owner of Le Fais Do Do Marie is a real pro when it comes to events business. She made the place look magical for the day of our wedding. The biggest benefit of having your wedding there Is that you are allowed to do anything you want without any restrictions in the contract. Marie was the only vendor that did not come up to me during the reception to ask me questions that I did not need to worry about during my day and there were a lot of things that needed to be handled. Where do I start??? It's only been a few days since our wedding reception and ceremony at Le Fais Do-Do and I already want to go back and have another party there!! The space is simply stunning and it was not even decorated when we came to visit for the first time. Marie, the owner, is full of energy and passion, you can clearly tell that she loves what she does. She was very interested in our ideas for a non-traditional event and immediately began throwing out ideas of how to accomplish what we wanted. We did not give Marie much direction for decorating and when I saw the almost finished product the day before our wedding, I was blown away! Everything was done so well and with so much class that I couldn't believe that this was being done for us! I can't say enough good things about Le Fais Do-Do! If you're not having your reception at Le Fais Do-Do, you are missing out!! When I first visit Le fais do-do I knew it was the perfect place for my wedding. It was modern, sleek, intimate, and the owner was very pleasant. Marie went over and beyond my expectations. She made the wedding planning as easy as possible for me. When I began my planning I got an estimate for decoration from another company which they quoted me $6500, when my budget was $3500. I called Marie and she handled all of my decorations and flowers and stayed in my budget. The day of my wedding, Marie was so professional and made sure everything ran smoothly. I paid for a day of the wedding coordinator who was so unprofessional that Marie step right in and made sure we went down the aisle on time, made sure the guests were happy, and most of all made sure I was happy. She made all my dreams come true on my wedding day. I couldn't imagine a more perfect day then what Marie provided me and my family! My vow renewal was June 30, 2012. Let me start by saying tears came from my eyes when I saw how beautiful the place was. When I was in my planning stage, I was looking for a place that was a blank slate and allowed outside catering. When I visited Marie at Le fais do-do, they offered that and more. She allowed the flexibility of us to use my husband catering company and she came with a wealth of ideas also. My vision was the "bling-Return to Tiffany theme" and it was that and more. My guests thought I had the place painted because my colors went great with the decor she already has there. I will recommend anyone who is looking for the WOW affect on a budget to go visit Marie. She is the best!!!! Hello Fellow Brides!!! I am raving about Le Fais do-do!!! I have been to places that were extremely high priced ($10,000) to those that were low priced ($700-1500). I have been to 27 different venues...but none of them have what Le Fais do-do has... MARIE!!! She is awesome and willing to work with you. 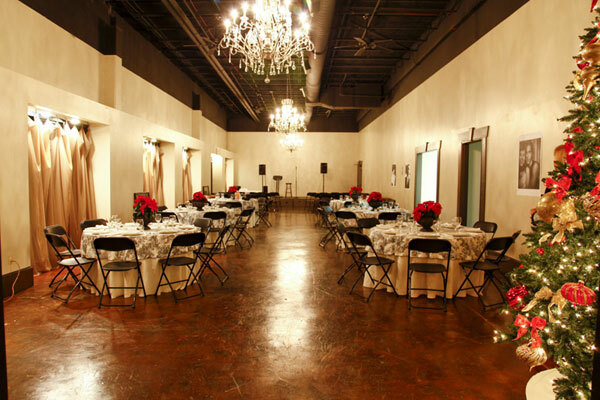 There are so many things that come with the venue that other places charge MILLIONS for, but not at Le Fais do-do; they are included in your rental. In additional to being beautiful, Le Fais do-do has ceromony, pre- reception, and reception site all in one place, and it has the furnishing to fill the spaces. I am so happy that I can focus my $8,000 budget on other things, other than the venue. I get married on August 17th, 2012, so I will blog again post-wedding and share my photos. Blessing to you all!!! Just looking at the website does not do this place justice. I wasn't going to visit the venue because I really wanted a wedding at a historical home, but when I got to Le Fais Do Do I could not believe how it looked inside. The chandeliers are beautiful and the venue is really spacious. The best part is that Marie takes care of everything! And I mean everything. You tell her how much money you have and she does the rest. You supply your own alcohol which saves a bunch. I give a four instead of a five because of two things. I had these mad libs printed up for the guests to fill out and no one told them about them so that was a waste of money and time. Also my candy bar was put out way too late and many guests went home with a gift box with nothing in it. Other than that the experience was wonderful. My pictures are beautiful and everyone had an awesome time!!! I wish we could do it again!!!!!!!!! I recently had the pleasure of working with the staff & owner of Le Fais Do Do. It was an awesome experience & there are not enough words that I can muster that describe the "southern hospitality" & eagerness to "just make it all work" attitude of the Owner; Marie. The venue is an amazing blank slate that can truly be transformed into the most exotic decor layout to the most elegant & simplistic casual environment. The Le Fais Team goes above and beyond the call of duty to ensure that your event is flawless offering limitless support and kind smiles. Their "can do" and "will do" attitude makes even the most challenging event just a bit easier... There may be other places that you may be looking at for your special event, but keep in mind - a space is a space... What makes the difference is the staff. Le Fais Do-Do was my top two choices for a wedding venue. The chandeliers gave the ball room an elegant look. There's so much you can do with the space available. Marie is so helpful and looks out for the Bride's best interest. She pays attention to detail, and really works with your budget, and ideas. A major plus is no cost for bringing your own alcohol, that alone cut down about 3K from our budget. The reason I gave this 4 stars instead of 5 is because my fiancé and I were leaning more towards a garden wedding. But Le Fais Do-Do is the place I will go for future celebrations! Thanks Marie for all your help!! When I first visited Le Fais Do Do, last October, I knew that it was my wedding venue! The owners are GREAT, very accomodating, and made me feel like a member of the family. I loved the fact that my wedding was fully planned by Ms. Marie, as she did an awesome job, which made it easier on myself as well, as I was stress free throughout the whole planning process. Each and every one of my guests loved our wedding/party, and two months later, they're still talking about it :) I highly recommend Le Fais Do Do as a venue to hold any and all types of events, as the space is large and beautiful, there's lots of parking, and Ms. Marie will be sure that you will have nothing but the best! If you want to make sure that you don't have to worry about anything on your wedding day, this is the place to book! On top of that, it is gorgeous and the price is well worth it. We hosted our wedding there last month and on the day of the wedding there was a HUGE storm. About 15 minutes before I was supposed to walk down the isle, the electricity went out! Marie (the venue owner) was on the phone with 3 power companies and kept coming to reassure me everything was being done to get the power back on. She and her family went above and beyond to make the best of the situation. Finally, we decided to have the ceremony by candle light. As I was ready to walk down the isle, the power came back on :) I got so many compliments by my guests on how beautiful the place looked and that the atmosphere was wonderful. Marie is a superwoman and trust me...you want her to be there on your big day. great space, awesome price, superior service. My mother recently celebrated her 60th birthday at Le Fais DoDo and it went off wonderfully! Mainly, this was due to the calm, yet energetic attitude of Marie (the owner and operator). That lady knows the business very well and made sure that we were happy. This venue sells itself, really. The space is HUGE but well - sectioned so that you can use as little or as much space as you want. AND you can bring your own food and drink. WIN!! I highly recommend Le Fais DoDo for large, medium, or small events. Parking is easy and plentiful, the location is very convenient, and the owners are all about helping you to have a great event. Another plus is that, although the bare space looks good on it's own, there is still plenty of "blank slate" for you to create your own decor. Venues like this are few and far in between .... Le Fais DoDo is a secret gem. Well, well, well, what can I say? I must have browsed almost all the venues on AtlantaBridal.com in Atlanta looking for the perfect venue for my birthday bash and Le Fais Do-do was it. First, the space is tremendous, three halls in one. Secondly, Maries is an absolute pleasure to deal with. I think when you deal with a private owner, you tend to get the best out of it. Take your ideas to her and I'm sure she will work with you. Thirdly, they have about everything you could possibly need for an event. Tables, linens for the tables and chairs, chandeliers, gobo lighting, bar tables, cocktail tables, sofas, chaffing dishes, plates, a nice sized kitchen, etc, etc, etc. All my friends were like wow, when the hall was set. We had cocktails in one hall and dinner in the main while we had bouncing castles for the kids in the third. Yes, all that under one roof. Parking is ample and everything was just beautiful and the pricing was very reasonable. This is an awesome venue for any event or party. Marie is very helpful and a real go getter. She worked with my budget and I trusted her vendors. 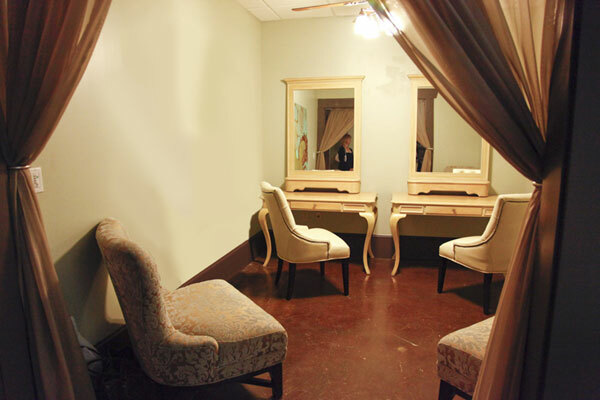 Also as a bride, it's very easy to get ready here, the bridal suite is great. Would definitely recommend it to anyone! If you're looking for a great venue that is flexible and fit just about any budget, then look no further. 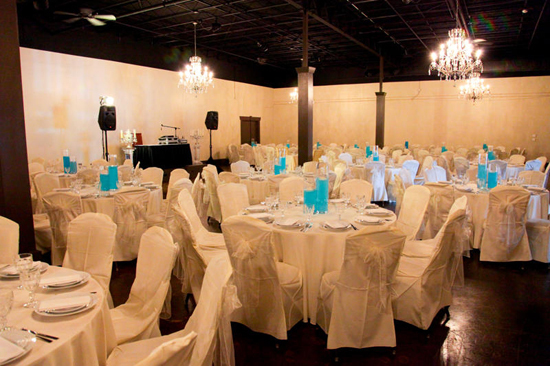 Nestled in industrial portion of West Midtown, Le Fais Do-Do is an event venue that is second to none. After years of patronage at another venue, Georgia State University College of Law recently held our annual Barristers' Ball at Le Fais Do-Do and were blown away. From the second you walk into the doors, you will be captivated by the layout and space that Le Fais Do-Do has to offer. Not only is the actual space wonderful, the service was top notch. Marie is a delight to work with and she makes fantastic recommendations. Definitely an A+! Had my daughter's "quinceanera" at Le Fais do-do. It was a turn key operation. Marie was a delight to work with and she work with me as well. The place was exceptionally well decorated and the music was fantastic for the teens. Security kept things in check. No complains, only good things to say about the place and the service we received. We had my daughter's "sweet 16" evening party at Le Fais do-do. Marie was terrific to work with, especially her suggesting and decorating of the "Moulin Rouge" theme. The DJ she recommended was a huge hit with the kids, and her security guard kept a sharp eye on the 75 teenagers all evening. It was a very special evening for our daughter, and I would definitely recommend Le Fais do-do for a special event. We had the most fantastic sweet sixteen party for our daughter and her best friend at Le Fais Do Do last month. It is still the talk of her grade! I encourage you to go visit the venue, as I am sure you will love the opulence and ambience as we did. It must be a fantastic wedding venue. Marie and her team have great experience and just seem to know when to offer advice as well as how to help you deliver on your own ideas. I recently hosted my wedding reception at Le Fais do-do, and it was absolutely fabulous! Unlike other vendors and facilities in and around Atlanta, Marie started with my budget and guest estimate then worked with me on all we could do. She was amazing to work with, and the entire process was completely stress-free. Coming from a self-admittedly control freak, that's saying a lot! We went with the turnkey option and allowed Marie to handle everything -- the decor, the flowers, the cake, the catering -- and it was perfect! 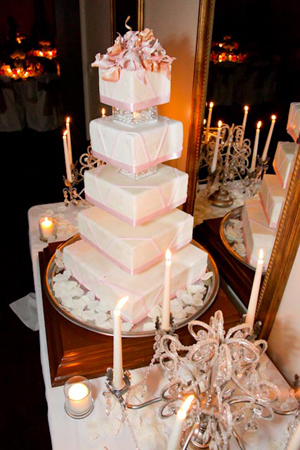 My husband and I highly recommend Marie and Le Fais do-do for any event needs you may have. We certainly plan to use her again in the future if the opportunity arises. I hosted my wedding at Le Fais do-do and I am very appreciative of everything they did during our magical day. Le Fais do-do went above and beyond my expectations of a wedding venue. I loved the venue itself because I was able to do nearly anything I wanted. There is so much space, I was able to set up a large photo booth area that accomodated more than 40 people at times, a dance floor, a ceremony area, dining space and more with plenty of room to spare. Maybe greater than the venue itself was the service I recieved. I am very much a do-it-yourselfer and had a lot of ideas on how I wanted the event to happen. When I explained this to the operator Marie, she was very understanding. Ultimately, I didn't expect her to do much the night of the event, but of course, as these things often go, there were many situations unplanned for (oops). Luckily, Marie was ready. She helped more than I can possibly thank her for. Marie at Le Fais do-do was amazing. Although I went in another direction due to budget restrictions and am doing a small family ceremony instead, she was a huge help. She gave amazing advise for free without me committing to her facility and really helped me realize my vision as a bride. She was on top of her game and would always respond to questions or concerns right away. Even though I am not using this facility I would recommend it and Marie to any bride looking for a wedding venue. I would like to write a wonderful review for Le Fais Do-Do. Marie has been a pleasure to work with. I am currently engaged and working towards planning my out of town wedding at her venue. When beginning my research I became very discouraged due to the lackof support or assistance I received from other vendors I contacted via phone or email until I came across this venue. Marie took time out to answer all of my questions. She had such a warm yet very professional personality. She appears to take pride in her work and loves her career. Marie took away alot of stress and made me feel confident that she would provide the wedding of my dreams. I really appreciate her and her staff. I would recommend this venue to anyone. Thanks Marie and the Le Fais Do-Do family. More to come in the near future!!! We absolutely loved our experience with Marie and Le Fais do-do. She created a dream wedding for us and made everything come together perfectly! I recently had a small intimate wedding/lunch reception at Le Fais do~do and it was absolutely perfect. The owner Marie was extremly helpful, she supplied the food, our flowers and the venue space and decorations at a excellent price. They will not stop until they guarantee that your big day will be exactly the way you want it. If you don't want to get married in the traditional church or banquet hall, I would defintely recommend Le Fais do~do, my guest are still commenting on how much they loved my wedding. I recently got married at Le Fais Do-do and highly recommend it. The space is wonderful and able to be highly personalized. The owner Marie is a pleasure to work with and dedicated to your event. She can do as little or as much as you like. The price for what you get is by far the best. Plus, you can stock your own bar and save money. All my guests complimented the venue and how smoothly everything went. It is hard to get an in town venue for a better price. Big thumbs up!